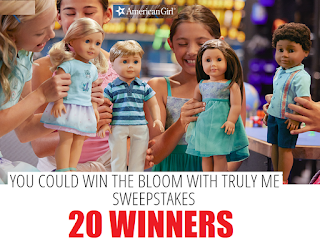 American Girl Doll Giveaway - 20 Winners Each Win a $170 American Girl Gift Card. Daily Entry, Ends 6/24/18. GOOD LUCK! Prizes: TWENTY (20) PRIZES: A $170 gift card that can be used to purchase a Truly Me doll.